The Road To The Force Awakens continues and so do our favorite Star Wars covers. 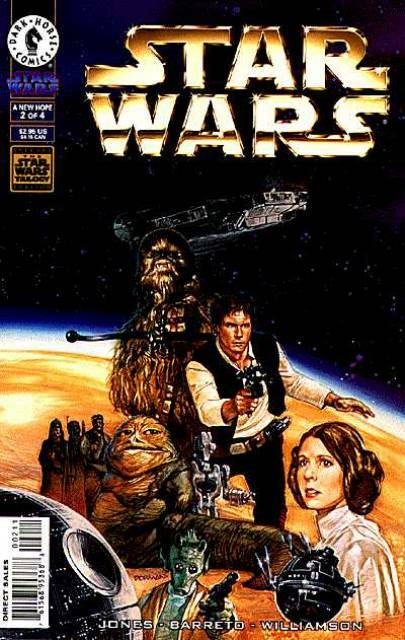 When the first of the special editions was released in January 1997, Dark Horse Comics also re-did the adaption of the first Star Wars film with some incredible covers by Dave Dorman. This one features Han Solo and Chewbacca front and center and Jabba the Hutt. The added Jabba scene in the special editions was one of the big talking points when the film's were re-released and this amazing cover features it front and center.